Mini bins are the perfect solution for displaying small retail items especially when space is at a minimum. Placing unique plastic containers at the checkout counter attract attention, especially when filled with colorful merchandise. Which lead to an increase in impulse sales. Choose from stacking bins, jumbo candy bins with scoops and unique containers to make your display stand out! 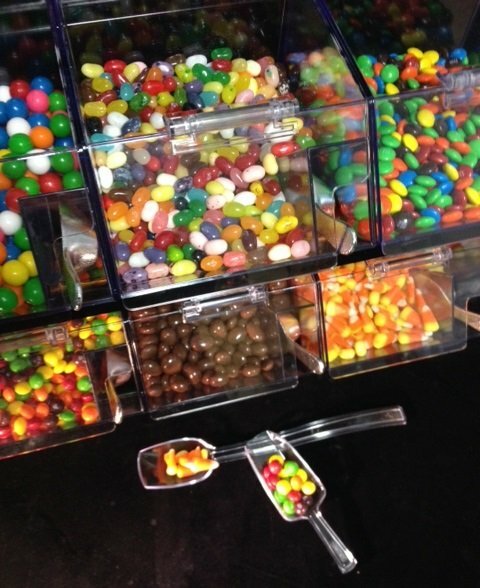 Acrylic Mini Bins have many uses such as real estate promotional items, candy buffets, and wedding favor containers. These stylish plastic containers are a perfect display option for not only candy but also other small retail items. Available in various sizes you can let your imagination take over. When using party favor containers fill them up with small candies or trinkets for a reminder to guest of a special day. 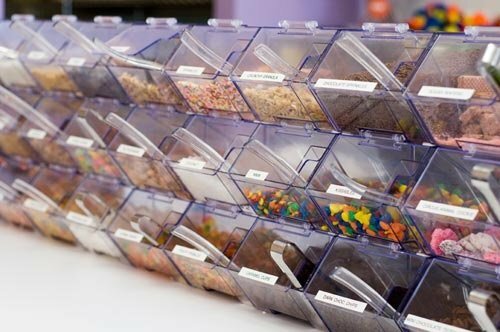 All Candy Containers is a division of Candy Concepts, Inc.
Visit Candy Concepts for more Retail Store Fixtures.